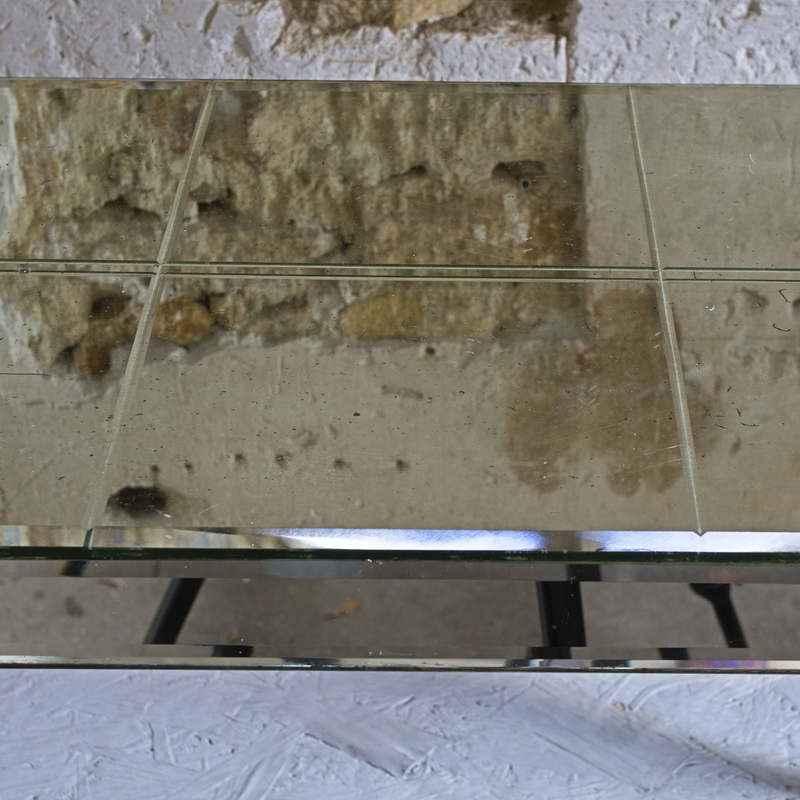 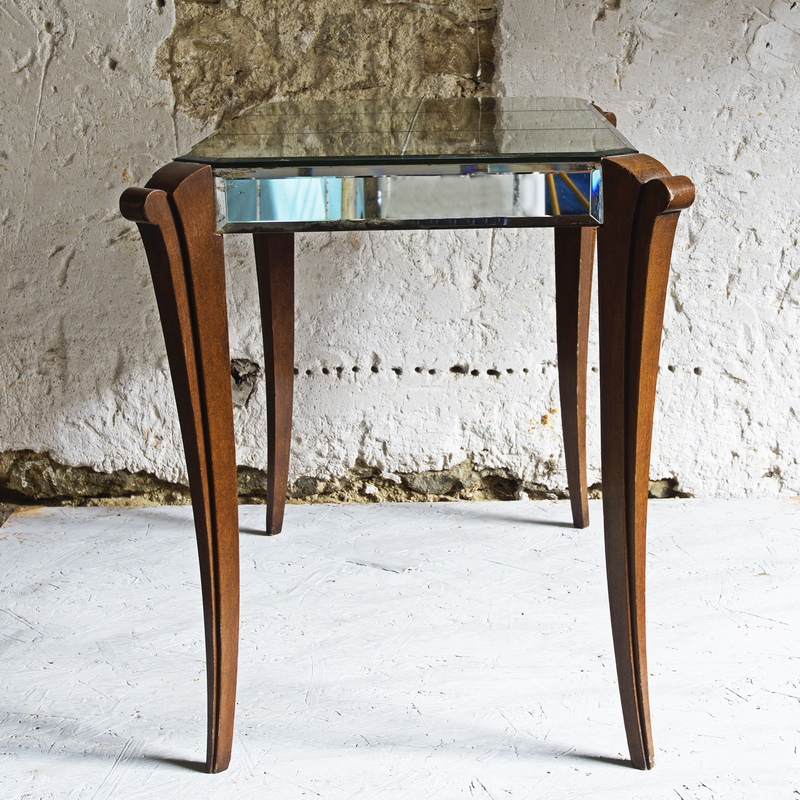 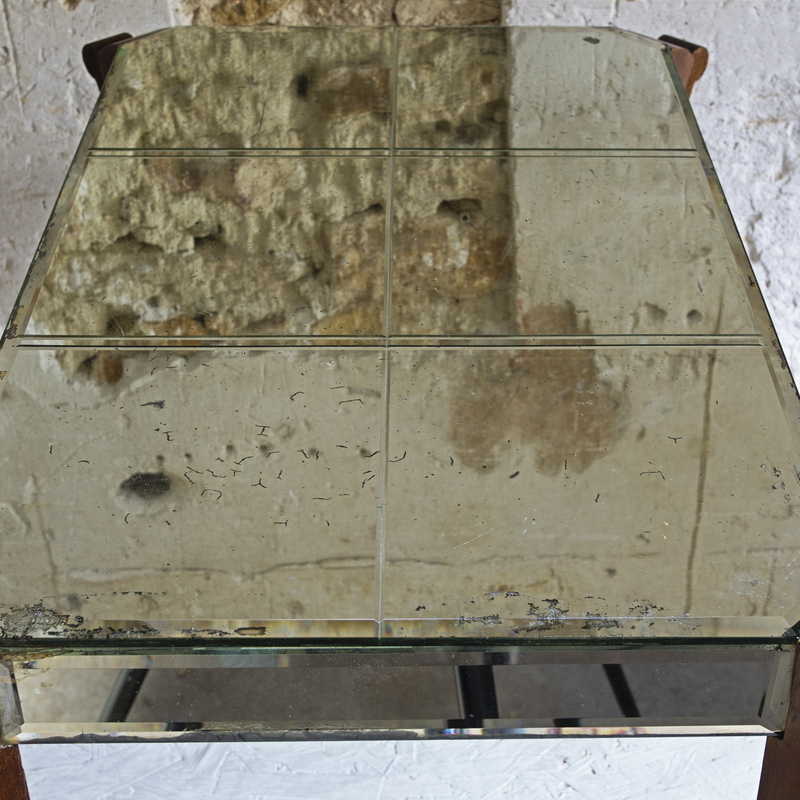 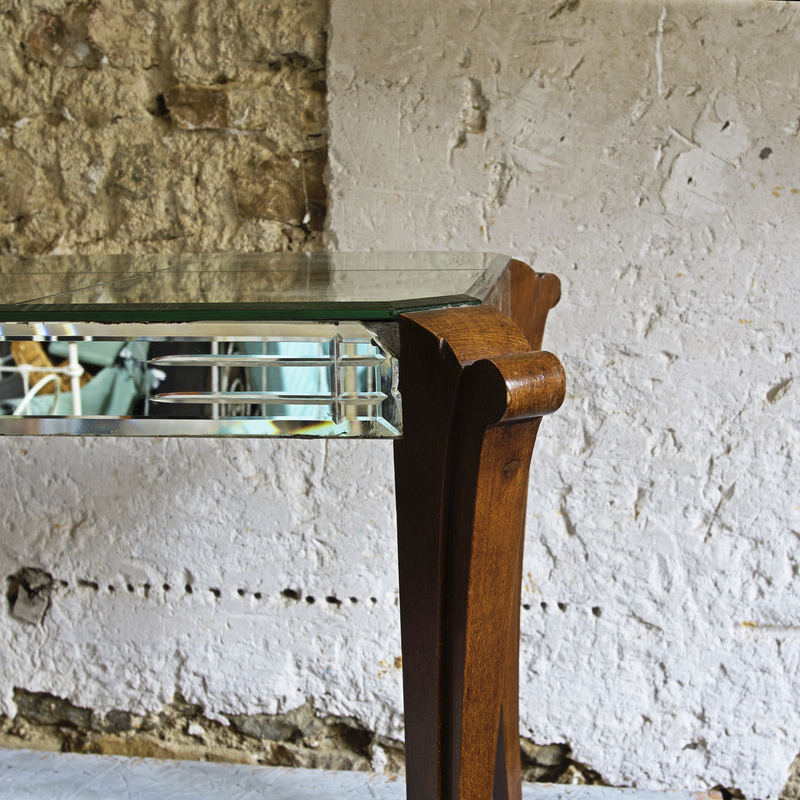 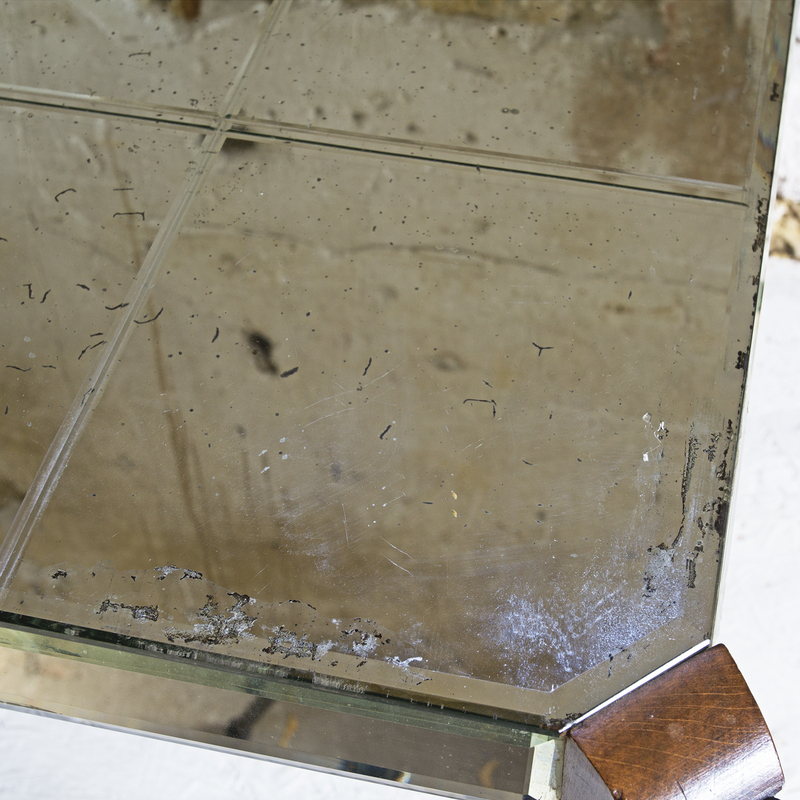 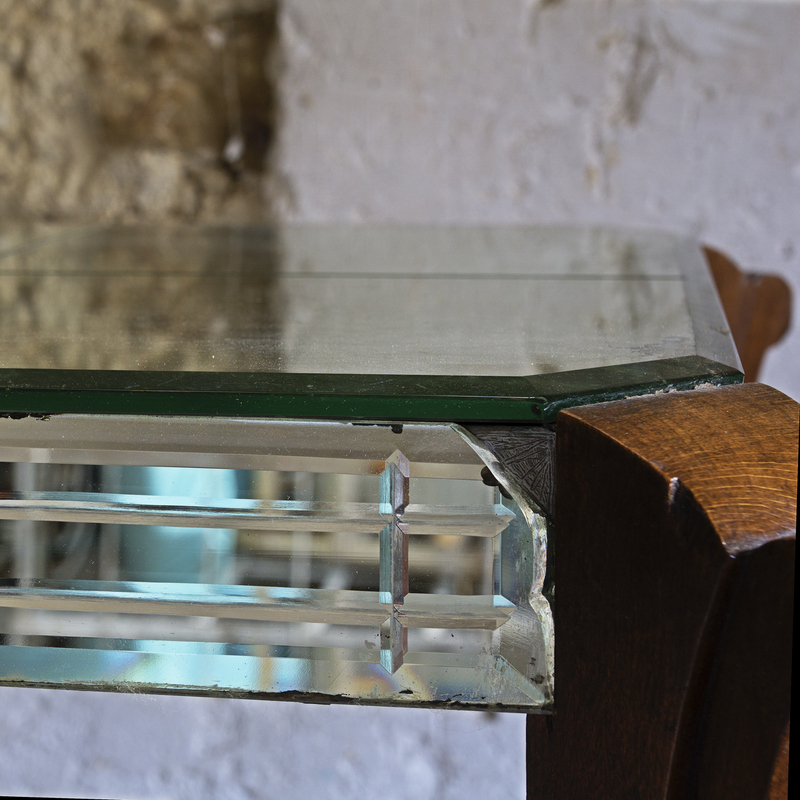 Delightful French side table with bevelled mirror to the sides and top and elegant walnut legs. 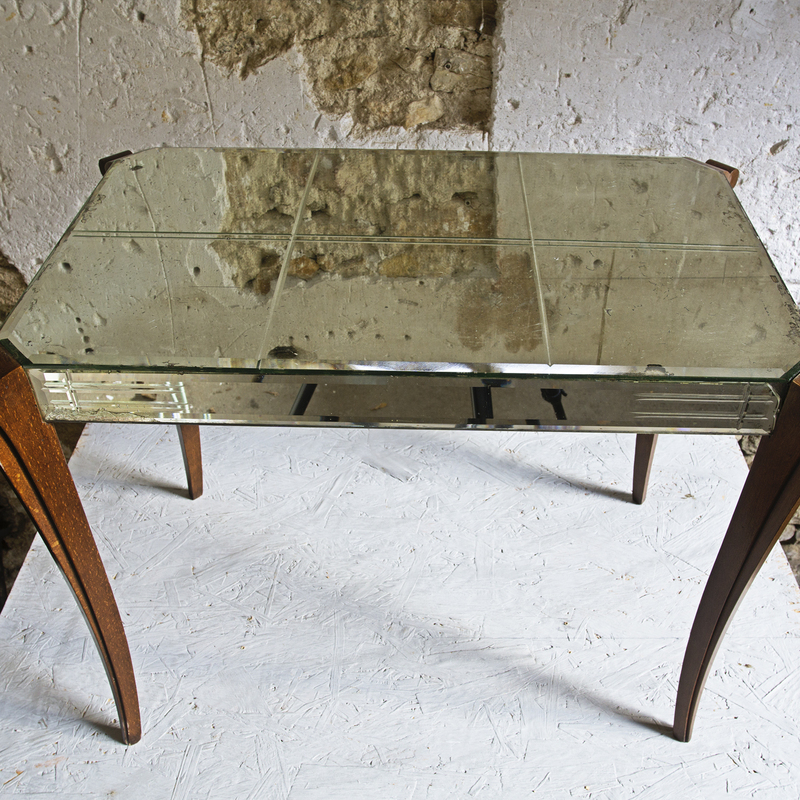 All the glass is original and shows the age one would expect. 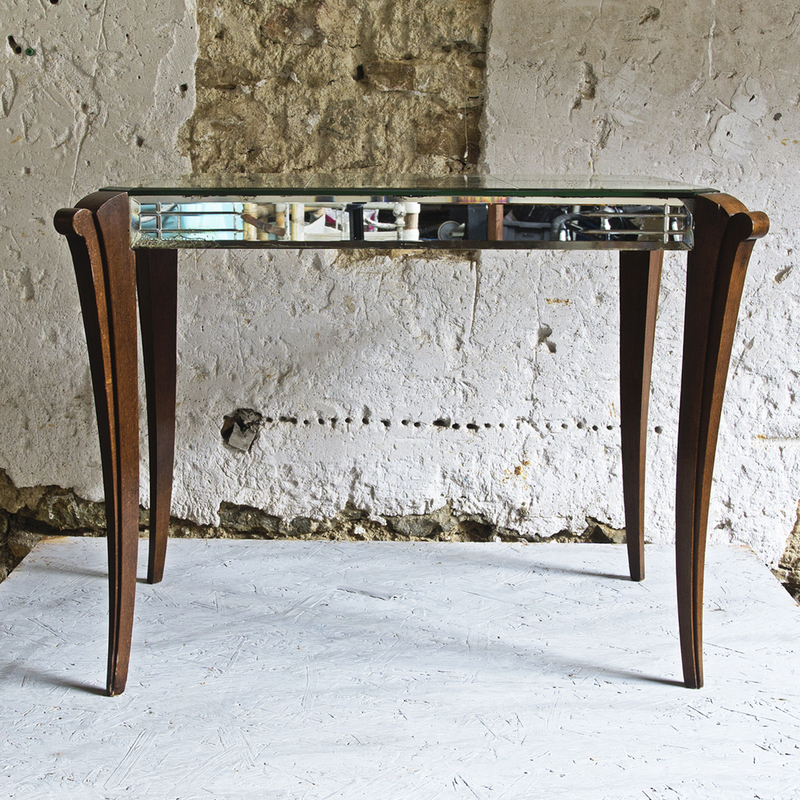 A charming piece.